We try to stay away from share price-related issues. There are lots of commentators better suited for that activity. But we do look at share prices in aggregate as an indicator of investor faith in Colombia. 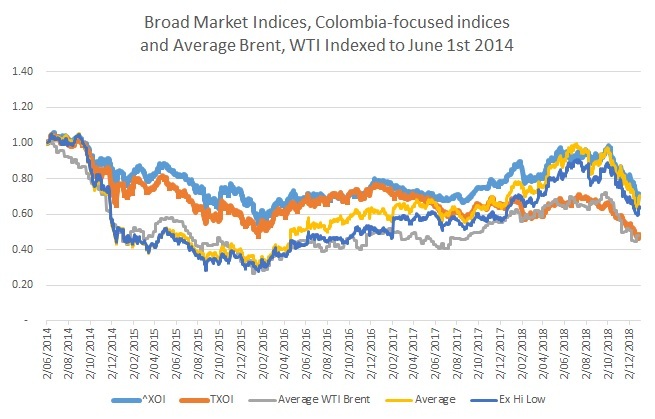 Doing that means we need to ‘unpack’ the influence of various performance drivers including oil prices, other broad industry factors, company-specific factors and to get, finally, the influence of Colombia itself.